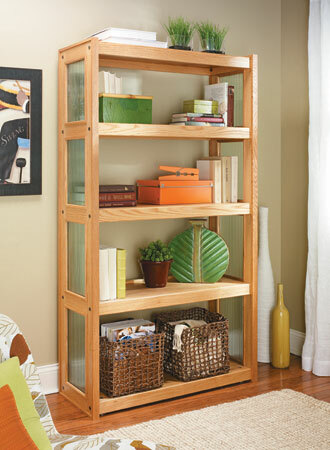 A display tower is a modern and unexpected alternative to a bookcase that maximizes space and adds interest to your home. 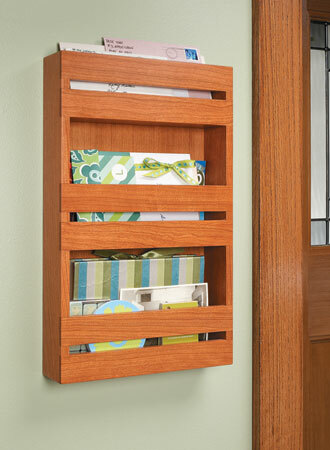 Keep your desktop clear and your papers in order with this attractive organizer. 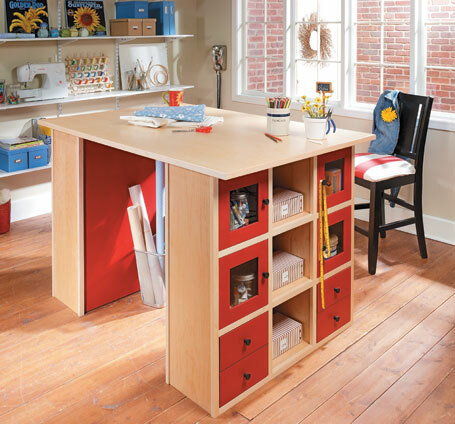 With a large worksurface and lots of handy storage, this work center is sure to please even the most demanding hobbyist. 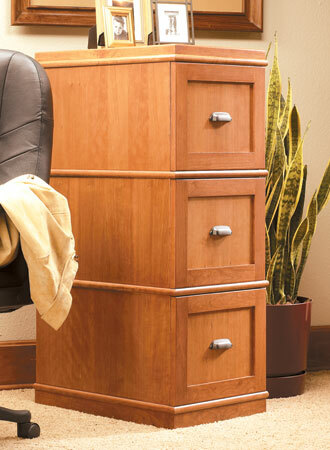 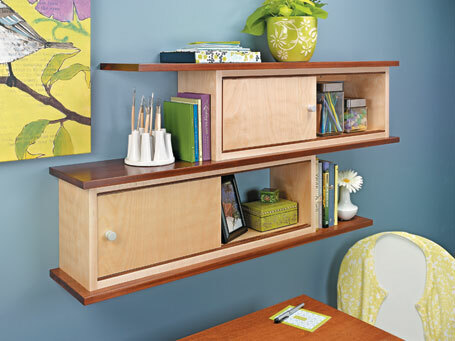 This home office solution is straightforward to build and can be adapted to meet your storage needs. 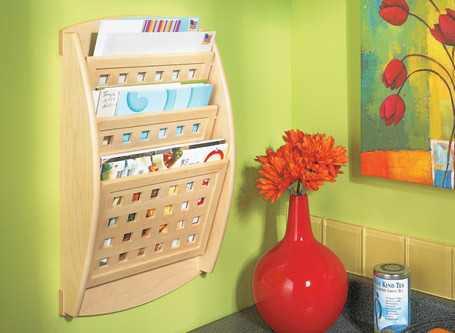 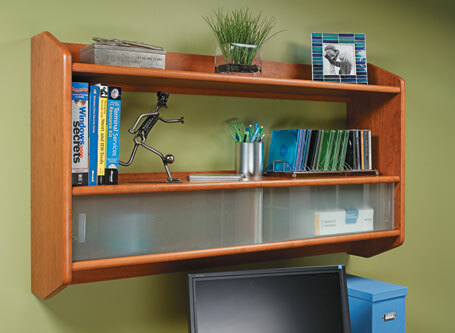 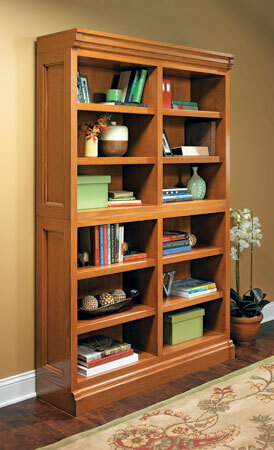 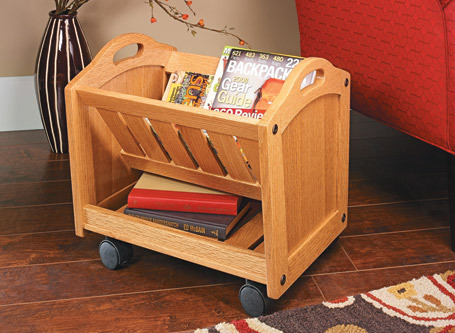 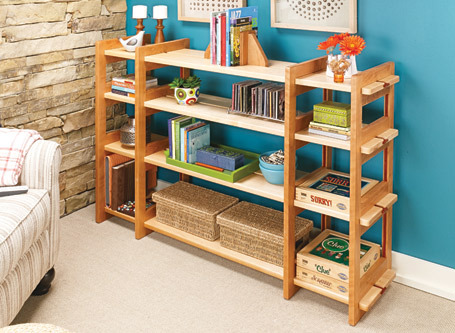 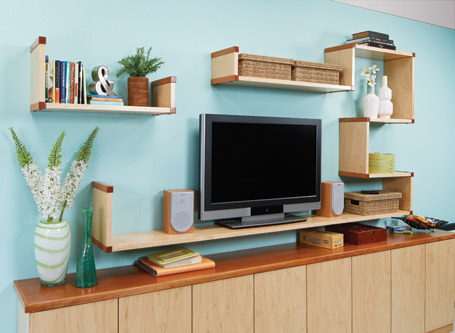 With its contrasting colors and unique design, this shelving unit is sure to attract attention. 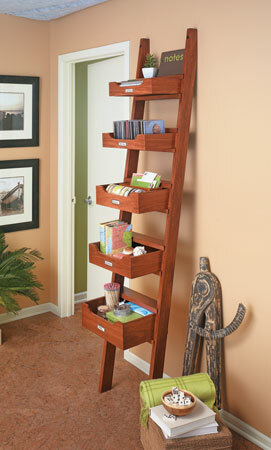 And you can make it in a day or two.